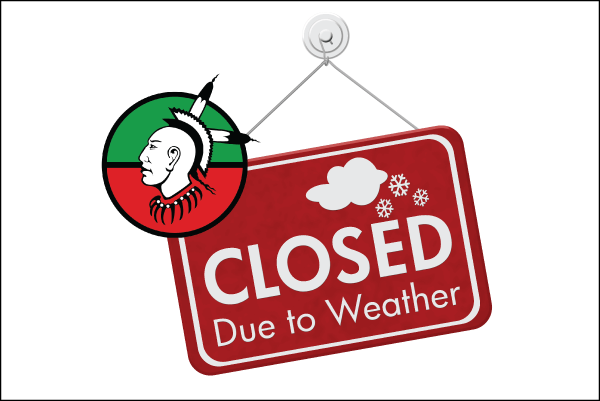 Due to the frigid temperatures predicted for Wednesday, Tribal Operations will be closed all day, Wednesday, 1/30/2019. This will include the Health Clinic, Pharmacy, Senior Services and Tribal Center. Executive Management wants to advise staff and the community ahead of time so everyone can better prepare for the forecast dangerous temperatures. We will continue to monitor the weather and provide more updates as necessary. Before the weather hits, here are some things to think about to help keep you, your family, and your neighbors safe and warm at home during this arctic blast. Check on elders, the handicapped, and your neighbors – Be on the lookout for people who may need an extra hand as our temperatures dip. A quick phone call can ensure they are “ok” and that they have heat/the supplies they need. Don’t go outside, but if you must, bundle up! Wear extra layers to keep your core warm. Keep your extremities warm by wearing a hat, scarf, and mittens and keep your toes warm with an extra pair of socks. Cover your mouth to protect your lungs from extreme cold. 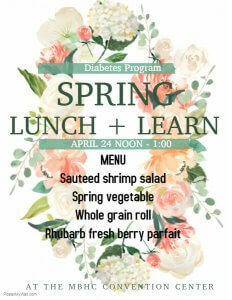 Keep plenty of food on hand, especially hardy options that include healthy fats. This can help rev up your metabolism and keep you warmer. Watch out for pets – Bring pets inside or provide them with enough bedding and insulated shelter to keep them warm. Remember to check their water and replace it if it is frozen. Protect your pipes – Some insurance companies suggest letting your hot and cold water faucets drip overnight, but at a minimum open your cabinet doors to allow heat to get to uninsulated pipes under sinks and on exterior walls. This will help keep them from freezing. Make sure you know where your water-shut off valve is in case of a water emergency. NEVER try to thaw a pipe with an open flame or torch. If a pipe breaks on the Settlement, call the Housing Department’s Emergency Line at (641) 481-0335. Make sure you have plenty of propane in your tank – It is important over the next few days to be sure you have enough propane in your tank. Be sure to keep valves, piping and the meter clear of snow too. Keep spare batteries at home for your thermostat and make sure your heat is left on and set no lower than 55 degrees. Be careful with space heaters – They may be a great way to add extra heat to colder rooms, but remember to keep anything flammable at least three feet away from your heater at all times. This includes rugs, bedding, curtains, clothing, etc. Remember to turn it off completely before leaving the house. Never operate un-vented fuel-burning appliances inside (generators/kerosene heaters) – They can cause carbon monoxide poisoning. Carbon monoxide is tasteless/odorless and can be lethal when inhaled. NEVER use a gas oven to heat your home, NEVER use gasoline to start your fireplace and NEVER use charcoal indoors. Fireplaces – Make sure you have a glass or metal fire screen large enough to catch sparks and rolling logs from getting out. Check chimneys and vents for blockage, corrosion and loose connections. Open flues completely and make sure the embers are completely out before going to bed for the night. Make sure your smoke and carbon monoxide detectors are working on all levels of your home and in all sleeping areas. Double check the batteries. If you must travel, make sure your car has plenty of gas, the tires are properly inflated, and bring an emergency kit which includes extra blankets, a flashlight, jumper cables, bottled water, gloves, hat, ice scraper, and some boots – and don’t forget your cell phone and a phone charger! Previous PostNotice From The Health ClinicNext PostTax Appointments Cancelled on Wednesday, Jan 30th.